Now I mostly write about corporate and business tax topics, but since many of my clients and other small to medium-sized business owners might be investing in the stock market or real estate, I thought it would be useful to discuss taxes on capital gains investments. Investing and making profits is great except at tax time, here are a few ways you can beat or minimize the capital gains tax in the Trump tax reform era. Every investor is looking to have a positive gain or Return on Investment (ROI) for his investment. Investors want to make money! Guess who else does? The Internal Revenue Service (IRS) of the United States of America, which lives and breathes to share in the profit of the earnings investors make on their investments. The share in profits that the IRS takes on investments is called the capital gains tax. Capital gains taxation formulas are not quite as simple as you may think because of certain specifications that apply to them. Simply put, tax rates and brackets for this type of income, due to changes enacted by the Tax Cuts and Jobs Act (TCJA) are different from regular income and apply to different types of investments. The most common capital gains are realized from the sale of stocks, bonds, retirement funds, precious metals, and real estate property. We are here to help you understand the ins and outs of capital gains in a guide provided below. Investors earn a profit when they sell an investment for a higher priced than which is what purchased for; investments that qualify are listed later in this document. Alternatively, if the investment value has gone done, the investor has a capital loss. If the price has gone up since you bought your shares, you’ll have a capital gain, and if the price has gone down, you’ll have a capital loss. 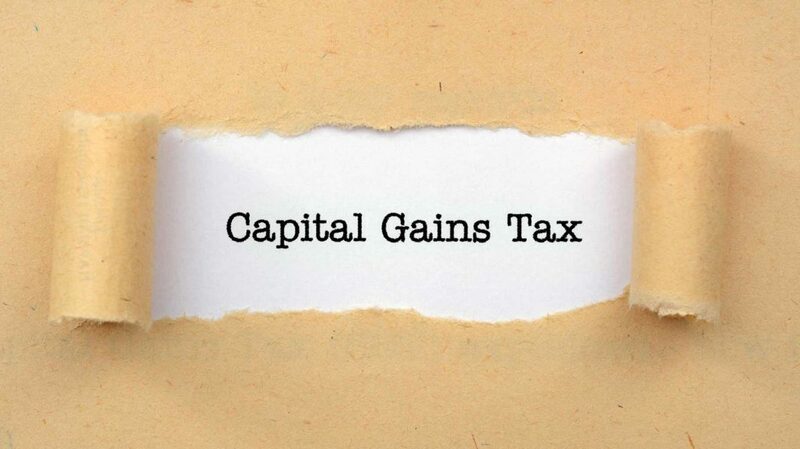 In turn, capital gains taxes are the taxes that the federal government levies on capital gains. Some state agencies also practice this legislation. Capital gains taxes have characteristics that differ from other taxes. Capital gains taxes work in few different ways compared to regular income taxes. The most notable for investors is that paying capital gains taxes doesn’t occur until an investment is sold (such as property, asset, stock). Also, as a chart below dictates, taxation rates tend to be lower than traditional tax rates. Compared to how investment income such as interest and dividends are treated, with investors usually are required to pay a tax immediately on that income, even if they end up just reinvesting the profits back into the same investment. This optimal treatment of taxes on capital gains allows investors to have more options in timing sales for the purpose of lowering their overall tax liabilities. Of the two main categories subject to capital gains taxes, the first is investments. The second category is real estate. As far as investment non-inventory assets, practically anything one can invest in is subject to capital gains- think: anything one purchases with the intent of later selling it for profit. As far as real estate, things get more tricky because some people actually consider real estate as an investment. Hence, it is divided into two categories: investment and real estate. Sad but true is that those who are looking for a roof over their head are sometimes taxed for it if they make a profit should they sell it. Luckily, through legislation, a few exemptions are permitted to some who own a home for personal use to pay no tax on capital gains; parameters of up to $250,000 for single tax filers and $500,000 for joint tax filers. One exception to capital gains taxation legislation is for those who sell a specific type of asset. For such individuals, any profits are treated as regular business income instead of capital gains income. For instance, if you’re a real estate developer, you normally are not allowed to claim capital gains tax treatment on earnings when you sell a piece of property. In the same vein, gold and precious coin dealership are mandated to treat earnings they hold in inventory as regular income instead of capital gains. Data source: IRS. Rate thresholds are based on taxable income. Not all capital gains taxes are created the same. As mentioned real estate and certain collectibles are treated differently. In the case of real estate and depreciation, when owners have real estate, they’re usually permitted to take depreciation deductions against earned income. The legislation indicates that investors are allowed to deduct depreciation from original property value. However, if you then sell the real estate, then a designated portion of the capital gains is treated as recapturing that depreciation that was deducted. The tax rate that is used for the recaptured amount is 25%. So in the instance mentioned, the building sold for $110,000, has a total capital gain of $15,000, $5,000 which would be treated as recapture and taxed at 25%. The remaining $10,000 would be taxed at 0%, 15%, or 20%, as shown in the chart above. In the event of collectibles, including jewelry, antiques, coins, precious metals, art, and similar items, profits from the sale of collectibles is subject to the taxpayer’s regular income tax rate, capped at 28%. 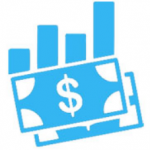 Can I Minimize My Capital Gains Taxes? Holding on to your investments for longer than one year is critical. Should you hold it this long, doing so normally qualifies you for an extremely favorable 0 percent rate on long-term capital gains. With 0 percent taken into account, it’s better to pay a higher tax rate on a profit than to lose the profit entirely if the stock drops or will drop before a year. Search for losses against capital gains and use them to offset those capital gains- cash in those tax losses. Recognized wisely by the term tax-loss harvesting, this method must be completed by year-end. In addition to garnering a tax plus, selling your losing investments can also serve to get investors out of a lot of precarious positions. Scrutinize and brainstorm advantageous ways to use tax-favored investments accounts. For example, investments in retirement accounts like IRAs or 401(k)s, the internal sales of investments you make don’t incur capital gains tax. Instead, any tax is deferred until you actually withdraw money out of the retirement account. Even Roth IRAs or Roth 401(k)s are tax-free when it comes to withdrawals. Lastly, coordinate all income, including capital gains. If possible, hold off the sell of winning investments until a time when other income is lower. At a time like this, total income will allow for lower capital gains tax rates. High-income year selling forces you to pay higher rates. A Forbes editor Ashlea Ebeling wrote a comprehensive article titled “12 Ways to beat capital gains tax in the Trump era” that goes into 12 strategies to minimize capital gains taxes. You can read her article for more information, but I will list some tax minimization planning ideas here. San Diego, California’s Thomas Huckabee understands myriad options which exist when it comes to choosing the right CPA. And, the right CPA is essential and needed to guide your business through all the new legislation that has been introduced. Operating a full-service accounting firm, Tom also guides clients through the complicated process of how new Capital Gains Taxation legislation ramifications will affect your company.